Arsenal said in an official statement that they are heartbroken but “fully respect” Petr Cech’s resolve to retire at the end of this season. Cech, who had stints with Chelsea, Rennes and Sparta Prague, joined Arsenal for a fee of £10 million in 2015, winning an FA Cup and two FA Community Shields with the Gunners. The Czech international is considered one of the best goalkeepers of all time. He went a total of 1,025 minutes without conceding a goal in the 2004/05 season—which was a Premier League record. Far back in 2002, he was named the most-capped player among his national teammates and in the history of Czech national team—a squad he led to the 2006 World Cup. The 36-year-old also played big roles in their 2004, 2008, 2012 and 2016 European Championships. Cech retired from international duties in 2016 but holds record for winning the most Czech Footballer of the Year and Czech Golden Ball awards, among other notable achievements. In the English Premier League, his goalkeeping records include reaching 100 clean sheets in fewest appearances—having done so in just 180 matches. He is the only goalkeeper to have won the PL Golden Glove with two different clubs. The Plzeň-born footballer also has an unprecedented 24 clean sheets, which is the highest number ever achieved in a PL season. Arsenal confirmed Tuesday that Cech recently informed them of his retirement decision. “Like all football fans, we are sad about this, but completely understand and support him [Petr Cech],” the official statement reads. 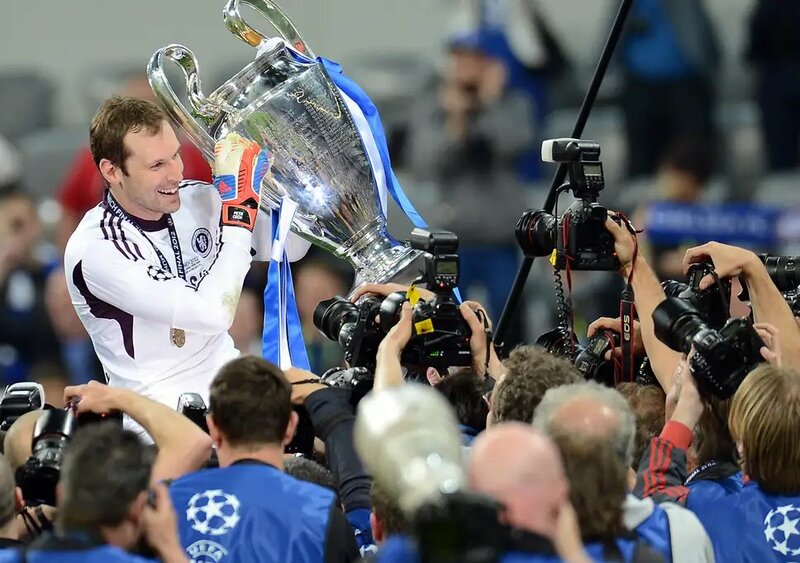 “We know Petr will continue to make a big contribution in the future, whatever he decides to do…He has been an extraordinary player during his 15 years in the Premier League and an exemplary professional on and off the pitch…He has been a fantastic ambassador for Arsenal, Chelsea and the Czech Republic and will always hold a special place in the affections of football fans around the world.